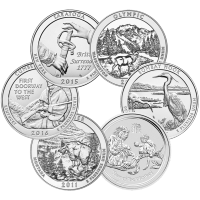 The piercing cry of the wolf shatters the arctic blast of the Great North in this new coin from the Royal Canadian Mint. 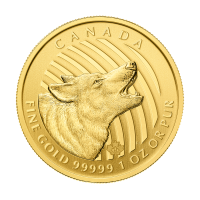 The reverse of the first coin in the 3 coin "Call of the Wild" annual series features a design by Canadian Artist Pierre Leduc of the profile of a howling wolf with waves in the background representing its howl. The central feature of the image is the intricately detailed profile of the head of a wolf, its muzzle piercing the sky and its mouth open in the iconic howling pose. The wolf's howl demonstrates the complex social structure and sophistication that intrigue scientists and wildlife enthusiasts alike. Wolves travel and live in packs of 4 to 12 and are highly territorial, the same pack often controlling hundreds of square miles. Howling is the pack's way of communicating both danger and summoning other members. 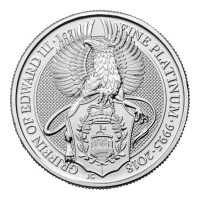 The coin is unique, not only for its design but also its release. 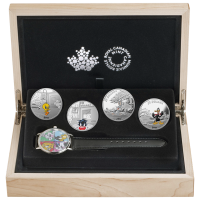 It features the same security mint mark as the 2014 gold and silver 1 oz Maples, and comes encapsulated in a credit-card style Certicard with the chief assayer's signature, the weight and date of issuance. 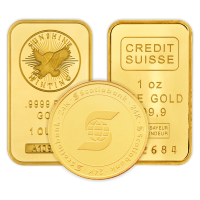 The purity of this coin is 99999 pure, the highest purity of any recognized gold coin. 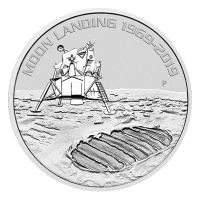 This coin is part of an annual series, look for more to come. 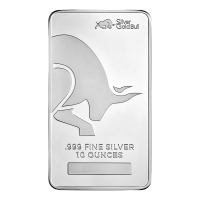 This items may display light scratches or scuffs on the certi-card. 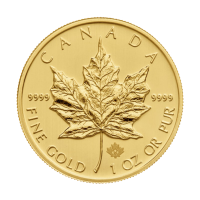 Obverse Effigy of Queen Elizabeth II (designed by portrait artist Susanna Blunt) and the words "Elizabeth II 200 Dollars 2014"
Reverse A howling wolf with the words "Canada Fine Gold 99999 1 oz OR PUR"
Effigy of Queen Elizabeth II (designed by portrait artist Susanna Blunt) and the words "Elizabeth II 200 Dollars 2014"
A howling wolf with the words "Canada Fine Gold 99999 1 oz OR PUR"